Simple have it recycled! We offer curbside or in-house mattress disposal for all types of mattresses, including waterbeds at your home or business. Don’t want to leave it on the curb, no problem we will collect it from your house or garage at no extra charge. No need to haul heavy equipment around, let us do the hard work. We make it easy by offering online mattress and appliance recycling scheduling and payment. It is an easy 4 step process which takes less than 60 seconds to complete. Don’t wait any longer schedule online today and forget about it. Are you in a hurry? 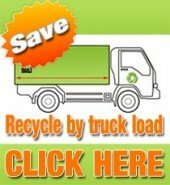 Need same day curbside mattress disposal? No problem, we have you covered, simply schedule the mattress disposal online and selects today’s date and we will take care of the rest. In addition to our standard residential recycling mattress disposal in Portland Oregon, you can also count on us for all your commercial large volume mattress recycling needs. Simple have it recycled! We offer curbside or in-house mattress removal for all types of mattresses, including waterbeds at your home or business. Are you in a hurry? Need same day curbside mattress removal? No problem, we have you covered, simply schedule the pickup online and selects today’s date and we will take care of the rest. Please note that this is not a FREE service. Please No drop-offs after hours or when unmanned/closed. This is illegal dumping and we will prosecute violators. If you have any questions or want to make a special arrangement please call 503 334 4146. We make it easy to recycle your Monitor or Television. We will pickup your TV or CRC Monitor from your workplace or residence. You can also drop of your Television or Monitor at our warehouse in Hillsboro Oregon. Cost for Monitor Recycling is $7.50 each. We accept Monitors in any condition; working or non-working. We also offer large volume business to business CRC Monitor Recycling. We will load, haul and dispose off your monitors in a non intrusive way. This allows your employes to be fully productive while we take care all your e-waste. See our Electronic Recycling Pricing for a more detailed price list as well as the various items we recycle at no charge. There are so many ways that we can choose to stay environmentally contentious even when we travel that there really is no excuse. All you have to do is having developed a habit for recycling. Here are a few ideas for families that are traveling and still want to stay in their recycle-conscious state of mind. Before you even leave your home there are ways that you can help save energy and waste, remember recycling is to save the earths resources and energy. Turn your thermostats down on your home and your hot water heater. Some heaters have a “Vacation” setting right on them that can be used to set the temperature when no one will be around to need the heat. Just keep in mind the plants that are left behind and as long as they will not be killed off due to the temperature change, you’re set. Be sure to turn off your outside water source, in the event that there is a pipe break while you’re away, this will minimize the damage. When you return home, turn the water back on slowly, where you will be able to be aware of any issues or leaks that may have occurred. If you are going to be away from home for a few days, stop your newspaper delivery. That way the paper won’t be left to end up in the trash receptacle and waste your time when you return home, sorting through what is relevant mail and what is not. You may even want to check to see if your paper can be donated to a school or non-profit organization, where it will be used in your absence. If you or someone else in your home sleeps on a waterbed, turn the temperature down on that while you’re away, you can go as low as a ten degree difference and it will impact your energy usages. If you have a refrigerator with the ability to make ice cubes, be sure to turn that part off by lifting the wire, and you can lessen the risk of flooding should it break while you’re away. There are airlines that offer electronic ticketing and by using these services will cut back on the paper waste generated by the airline, on a daily basis. There are even some airlines that charge a fee if you have lost a paper ticket, so rid yourself of any of those problems by opting for the paper-less airline ticket options. If you are heading out of town, before you leave, go around the house and unplug the items that you would normally leave plugged in, like the TV, the computer, cable converter boxes, appliances, VCRs, stereos, etc. If these items are left plugged in to the outlets they can still draw or “leak” energy, even up to 40 watts per hour, even if they have been turned off. I think this is one of the most important messages to get across before you leave for a vacation; even if your electronics are turned off, they can still cost you money if they remain plugged in. Do yourself a big favor and always be sure to check these items before walking out the door to your vacation.